Even though it is technically still winter, the fact that the calendar says March makes me start to think spring. Today I'm sharing a cocktail that will help you celebrate all things spring. Let's start with the color. 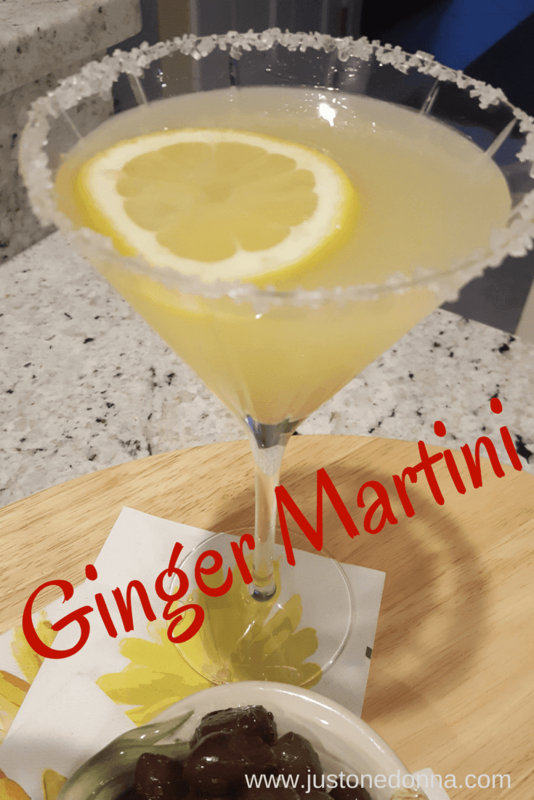 This ginger martini has a sunny yellow color that will make you smile. 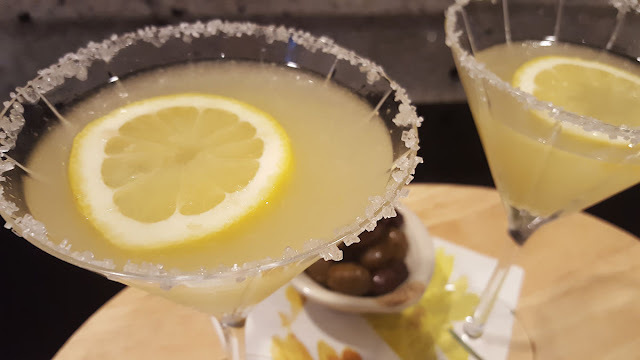 Float a slice of lemon on top and there is no mistaking that you are ready to celebrate spring. Cocktail time at my house is a time for a little fanciness. I like to put a little extra effort into the presentation. Glassware is important to me. I want the glasses I use for cocktails to be pretty and elegant. They must be very thin and I like them to enhance the colors in the cocktails. The martini glasses you see pictured have beveled ridges that reflect the light and colors of the cocktail. That makes them a favorite of mine. I also like colorful cocktail napkins. I have a whole drawer full of them representing all the seasons and holidays. Colorful cocktail napkins help to set the mood for cocktail hour. Cocktail napkins are an inexpensive way to add a festive touch to your cocktail gatherings. This lemon ginger martini recipe will make one cocktail. Double the ingredients for two, or you can easily make a pitcher for a party. Just replace the word "ounce" in the recipe with the word "cup" and increase the amount of ginger accordingly. As is the case with most cocktails, you'll want to start with the proportions in the recipe and adjust them to your liking. You might want a little more or less of simple syrup. The same is true for the lemon juice and orange juice. I like my cocktails a little more tart than sweet, so I adjust accordingly. That means you'll find me adding a little more lemon and a little less orange juice. Prepare the simple syrup earlier in the day by heating one cup of granulated sugar and one cup of water together over medium heat. Heat and stir until the sugar completely dissolves. Cool and chill until used. Prepare your martini glasses by first spreading a little simple syrup along the edge of the glass and then dipping the wet edge into sparkling sugar. Set the glass aside to dry. Muddle the ginger in the bottom of your shaker. A muddler is a handy tool to keep on hand. Add ice to the shaker. Then add the remaining ingredients. Shake until the outside of your cocktail shaker is icy cold. 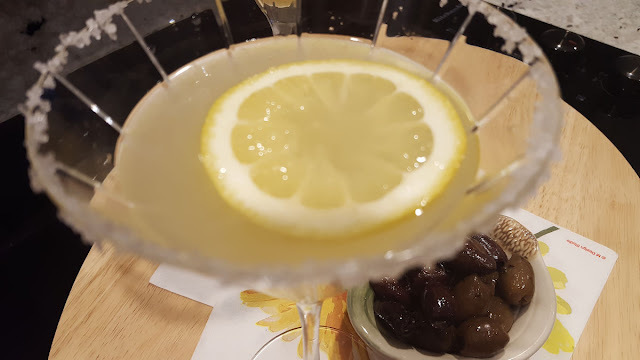 Strain into your prepared martini glass. Garnish. Thank you for sharing this post on Pinterest, Facebook, Twitter, and Yummly!